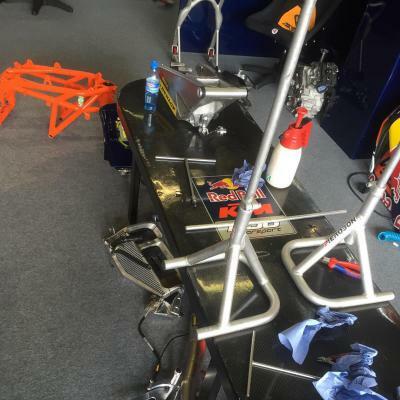 Greasy track conditions caught out Smith who fell during Free Practice 2 at the bwin Grand Prix České republiky. 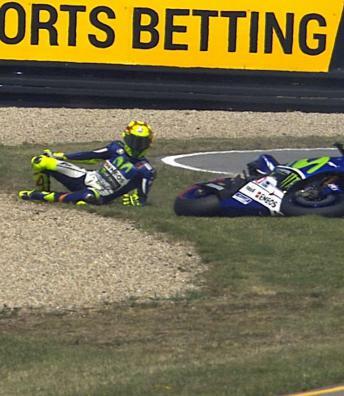 For the sixth time in 2015 Bradley Smith (Monster Yamaha Tech 3) suffered a fall during MotoGP™ practice. Smith fell at Turn 5, an area that many of the riders found difficult due to the searing hot conditions. Free Practice 2 saw track temperatures normally only seen in Sepang and many riders struggled with the greasy surface as a result. 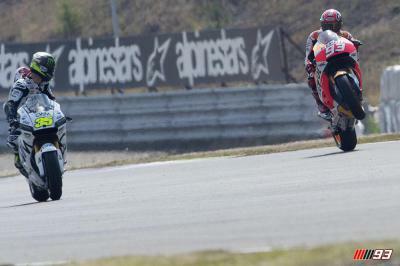 Andrea Dovizioso (Ducati Team) also fell at Turn 5, both he and Smith were unhurt. Fortunately for Smith he and his Tech 3 team made steady progress in Free Practice 1 and ended the day just 0.059s shy of teammate Pol Espargaro. Despite the crash Smith had enough time to test both compounds on the front and rear in order to better understand their strength and weaknesses. Finding a solid setup even in the greasy conditions will be critical for tomorrow’s Qualifying battle. “Still, I’m a bit disappointed with the crash this afternoon, although it seems like a lot of guys made the same mistake because it has been quite difficult to find the right compromise in the balance between the hard and soft tyres. Therefore we need to try and understand what the issue was and fix it tomorrow because we expect Sunday’s weather to be similar to what we experienced today. So overall, it was a good start even with the small crash and in addition, I didn’t set a single lap time with the soft tyre at the end, but I still finished inside the top ten. As a result, I have to be happy and I’m ready to improve tomorrow." Find out about Marquez’s changed relationship with Rossi this year, how people end up working in the paddock and how & why the race was won! Lorenzo: "Some of the toughest circumstances that we‘ve had"
Hot conditions saw a multitude of falls at the bwin Grand Prix České republiky, but Lorenzo stays calm and upright to lead Friday. A lack of pace on the soft tyre has left Redding seeking answers after Friday practice at the bwin Grand Prix České republiky. 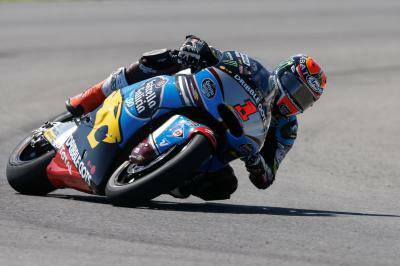 Day one at the bwin Grand Prix České republiky has Britain’s Danny Kent on top and full of confidence once again. Tito Rabat goes quickest in FP2 to end the day on top of the combined timesheets ahead of Thomas Luthi and Simone Corsi. 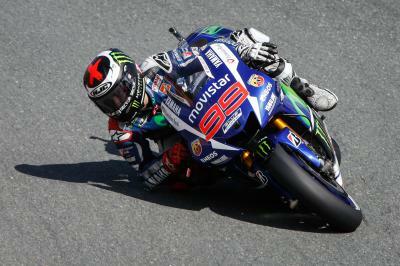 Jorge Lorenzo topped the combined timesheets on Friday after a dramatic FP2 session that saw a number of riders crash. The 19 year old renews the contract with his current team for next season. 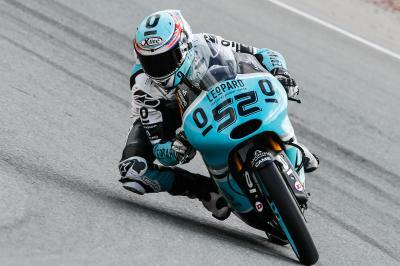 Danny Kent topped the timesheets in FP2 to end the first day of Free Practice at the Czech GP on top of the combined timesheets. 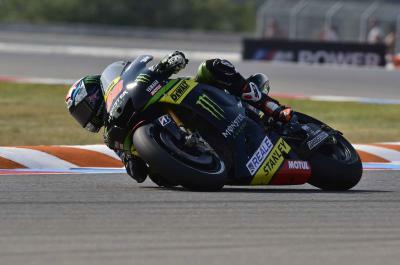 Moto2™ World Championship leader Johann Zarco sets the fastest time during Free Practice 1 to top the session.